Prayers are said blessing the addition during the ceremony. 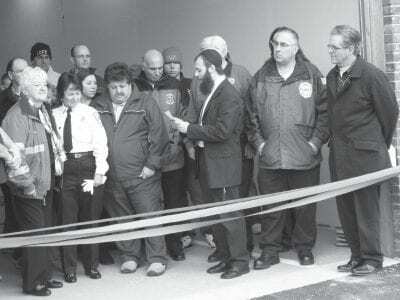 John Guido was looking down from heaven on Sunday, beaming with pride, as a 20-foot by 40-foot addition to the Carmel Volunteer Ambulance Corps was dedicated in his honor. 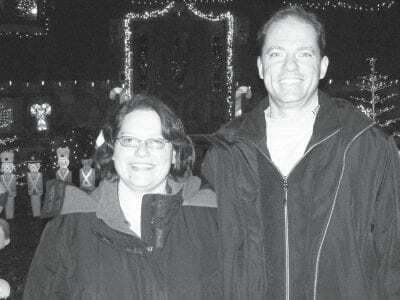 Guido served as… Please login below or purchase a subscription to the Putnam County Courier to access this content. The Putnam Bureau of Emergency Services, in conjunction with the Driscoll Lodge of the Fraternal Order of Police, Fire Department of New York and the Carmel Knights of Columbus will be sponsoring a holiday blood drive on December 30. Organizers D… Please login below or purchase a subscription to the Putnam County Courier to access this content. 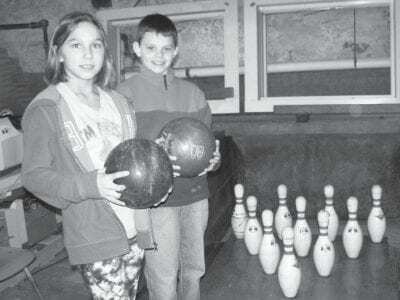 Fifth graders Sabrina Fiumara and Nick Goodrow set pins the old fashioned way on the Lakeview School bowling alley. 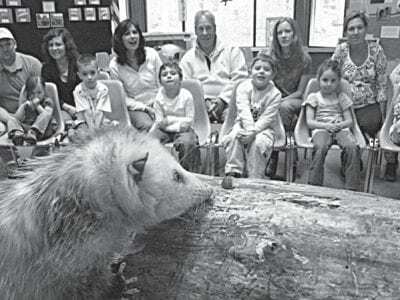 Nestled in the basement of the Lakeview Elementary School in Mahopac is a most unusual site. A two-lane bowling alley constructed in … Please login below or purchase a subscription to the Putnam County Courier to access this content. 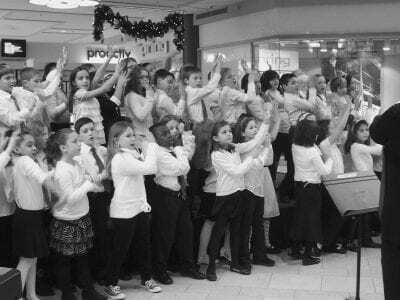 Third graders from the JFK Elementary School perform at the Danbury Fair Mall. Holiday shoppers stopped to reflect on the season Monday when browsing through the Danbury Fair Mall, thanks to 60 third graders from the John F. Kennedy Elementary School… Please login below or purchase a subscription to the Putnam County Courier to access this content. This photo was taken at the 100-year-old birthday celebration of Vera Dibella at Brewster Medical Group in the town of Southeast. Mrs. DiBella turned 100 in November. 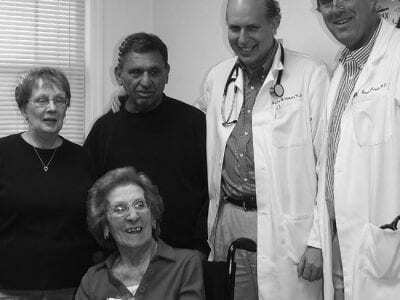 Her physician, Dr. Jeffrey Michaelis, wrote the Courier: “It has been my … Please login below or purchase a subscription to the Putnam County Courier to access this content. HOLIDAYS FOR SCHOOL Beautiful Custom of Children in Decorating Their Rooms The public school closed on Wednesday afternoon for a vacation of two weeks. 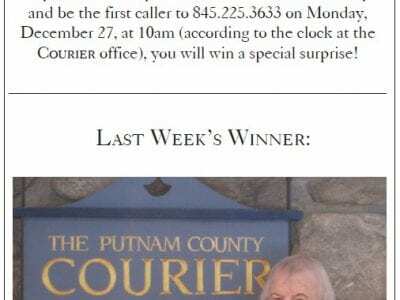 It is the custom at the Brewster school to make some preparation for the holiday closin… Please login below or purchase a subscription to the Putnam County Courier to access this content. Let’s Play a Game. . . Where in the County is The Courier? The holidays are rapidly approaching and many of us are really busy. Whether one is preparing for a celebration, shopping, traveling or reminiscing about past times or loved ones no longer with us, we are generally occupied this time of year. The 20… Please login below or purchase a subscription to the Putnam County Courier to access this content.